It is always onward and upward for us at Notinhalloffame.com, and as such we wanted to take the time to update our Football Futures section. 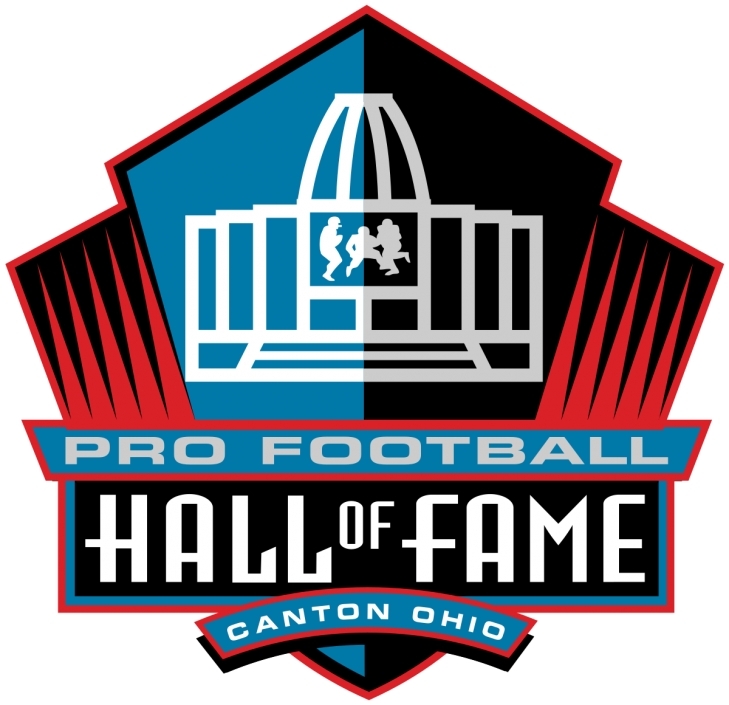 This is the portion of the website where you have the opportunity to let us know your opinion as whether retired players who are not yet eligible for the Pro Football Hall of Fame should be enshrined in Canton. This process also helps us establish where these players should be ranked once eligible. We already had the Football Futures from 2016, 2017 and 2018 up, and recently we have updated our 2017 Football Futures Section. Next, of course will be the following year as we are updating the 2018 Football Futures Section. Antoine Winfield, a Cornerback who made three Pro Bowls with the Minnesota Vikings. Brian Urlacher, a Linebacker synonymous with the Chicago Bears and was a four time First Team All Pro Selection. James Farrior, a Linebacker who won two Super Bowls with the Pittsburgh Steelers and went to two Pro Bowls. Jason Hanson, a Place Kicker who retired third all time in scoring. Jeff Saturday, a Center who was a six time Pro Bowler and leader of the Offensive Line that took the Indianapolis Colts to a Super Bowl win. Keith Brooking, a Linebacker who was a five time Pro Bowl Selection. Matt Birk, a Center who went to six Pro Bowls and helped the Baltimore Ravens win the Super Bowl. Michael Turner, a Running Back who went to two Pro Bowls and was a one time First Team All Pro. Ray Lewis, a Linebacker who was a two time NFL Defensive Player of the Year, a six time First Team All Pro Selection and a two time Super Bowl Champion with the Baltimore Ravens. Randy Moss, a Wide Receiver who led the NFL in Receiving Touchdowns and was a four time First Team All Pro Selection. Richard Seymour, a Defensive Tackle/End who won three Super Bowls with the New England Patriots and was chosen for three First Team All Pro squads. Ronde Barber, a Cornerback who went to five Pro Bowls and helped the Tampa Bay Buccaneers win a Super Bowl. Shawn Merriman, a Linebacker who went to three Pro Bowls and was the NFL Defensive Rookie of the Year. Steve Hutchinson, an Offensive Lineman who was a seven time Pro Bowler and two time NFL Alumni Offensive Lineman of the Year. Takeo Spikes, a Linebacker with over 1,400 career tackles and a two time Pro Bowl Selection. Bart Scott, a Linebacker who was once a one time Pro Bowler. Brandon Moore, an Offensive Tackle with one Pro Bowl Selection. Braylon Edwards, a Wide Receiver who went to one Pro Bowl. Brendon Ayanbadejo, a Linebacker who went to three Pro Bowls and won a Super Bowl with the Baltimore Ravens. Brian Jennings, a Long Snapper who went to a Pro Bowl in 2004. Casey Hampton, a Nose Tackle who went to five Pro Bowls and won two Super Bowls with the Pittsburgh Steelers. Chris Cooley, a Tight End who spent his entire career with the Washington Redskins earning two Pro Bowls. Chris Hope, a Safety who went to one Pro Bowl and won a Super Bowl with the Pittsburgh Steelers. Donald Driver, a Wide Receiver who went to four Pro Bowls and helped the Green Bay Packers win a Super Bowl. Jamaal Brown, an Offensive Tackle who went to two Pro Bowls and earned a First Team All Pro spot. Kyle Vanden Bosch, a Defensive End who went to three Bowls. Leonard Davis, an Offensive Lineman who made it to three Pro Bowls. Marcus Trufant, a Cornerback who spent most of his time with the Seattle Seahawks and went to the Pro Bowl once. Nate Clements, a Cornerback who went to one Pro Bowl. Nate Kaeding, a Place Kicker who was chosen for two Pro Bowls. Todd Heap, a Tight End who went to two Pro Bowls and was once named the NFL Alumni Tight End of the Year. We will be continuing our work on the football futures and you will be seeing that shortly. In the meantime we are hopeful that we will receive your input and votes on this batch of future eligible football players. The 2017 Hall of Fame Class added five players who we had listed (LaDainian Tomlinson, Jason Taylor, Terrell Davis, Kurt Warner and Morten Andersen), and we did not have trouble replacing them. Actually, we have increased our 100 slightly to 103, for an impending increase in the months (ok, maybe years to come). The revised ranking is based on your votes and comments and the addition of newly eligible former players. Former Baltimore Ravens Linebacker Ray Lewis debuts at the number one spot. The 13 Time Pro Bowl Selection was chosen for seven First Team All Pro slots and took Baltimore to two Super Bowl wins. Lewis is likely to get inducted on his first try. This drops perennial snub, Jerry Kramer to number 2. Kramer was a Finalist nine times and helped Green Bay win the first two Super Bowls. He is the only member of the NFL 75th Anniversary Team not to be enshrined. Randy Moss makes his first appearance on the list at #3. The former Wide Receiver is the highest ranked skill player and his appearance makes it harder for Terrell Owens to get in. Moss was a Pro Bowler seven times and is third all-time in Receiving Yards and second all-time in Receiving Touchdowns. Former Pittsburgh Steelers Offensive Lineman, Alan Faneca, remains at number four. Faneca, a nine time Pro Bowler was a Finalist for Canton in the past two seasons. Chuck Howley comes in at number five. The MVP of Super Bowl V was a six time Pro Bowl Selection and was chosen for five consecutive First Team All Pros. Another former Pittsburgh Steeler, L.C. Greenwood is in the top ten at number six. Greenwood has been named a Finalist six times and was a part of the Steelers dynasty that won four Super Bowls in the 1970’s. He was ranked #5 last year. At number eight is Terrell Owens, who dropped two spots from last year. T.O was a finalist in his first two years of eligibility but has been very vocal about being passed over. This could really cost him. He is second all-time in Receiving Yards, third in Receiving Touchdowns and eight in Receptions. Brian Urlacher debuts at number nine, making three new eligible in the top ten. The career Chicago Bear went to eight Pro Bowls and was selected for four First Team All Pros. Rounding out the top ten is Johnny Robinson who is known for his time with the Kansas City Chiefs. The former Safety has been a Hall of Fame Finalist six times and has a Super Bowl ring with the Chiefs. Another high profile debut entry is Ronde Barber, the long time Tampa Bay Buccaneers Defensive Back who appears at #15. Offensive Lineman, Steve Hutchinson makes his first appearance on the list at #34. Former three time Super Bowl winner with the New England Patriots, Richard Seymour comes in at #48. He is a seven time Pro Bowler. Matt Birk, the Center who split his career with the Minnesota Vikings and the Baltimore Ravens, is ranked at #67. Jeff Saturday, who protected Peyton Manning for Years and went to six Pro Bowls makes his debut at #76. We have also added Tony Boselli, who was a Finalist last year, but was unranked by us previously. The man considered to be the greatest Jacksonville Jaguar of all-time finally makes his first appearance on our list at number 81. Gang, you know what we want you to do! Take a look at these revisions and cast your votes and give us your opinions! We will soon be unveiling our Basketball Revisions and look for that unveiling soon. As most regular visitors to Notinhalloffame.com are aware of, we are in the (very) slow process of working on the top 50 players for every major sports team (MLB, NHL, NFL & NBA). After that, the intent is to look how each one of those organizations treat their former players and executives in term of retired numbers, franchise Halls of Fame etc. As such, it is significant news to us that the New England Patriots Hall of Fame has selected three former players as Finalists for the 2017 Hall of Fame Class. Raymond Clayborn is a Finalist for the fourth year in a row. Clayborn was drafted out of the University of Texas in the First Round in 1977 and would play for them until 1989. He would named to three Pro Bowls (1983, 1985 & 1986) and recorded 36 Interceptions over 191 Games for New England. Mike Vrabel makes his second straight appearance as a Finalist. Vrabel was signed as a Free Agent in 2001, and after making minimal impact in four years with the Pittsburgh Steelers, became a starting Linebacker with the Pats. He would help New England win three Super Bowls and over 125 Games would record 11 Interceptions and 48 Sacks for the team. Richard Seymour is a Finalist for the first time. Seymour was drafted 6th Overall in 2001 and like Vrabel, also was part of a defensive unit that would win three Super Bowls. A Patriot for the first eight of his twelve years in the NFL, the Defensive End played 111 Games and had 39 Sacks. He would be named to the Pro Bowl every year from 2002 to 2006 and was also a three time First Team All Pro. 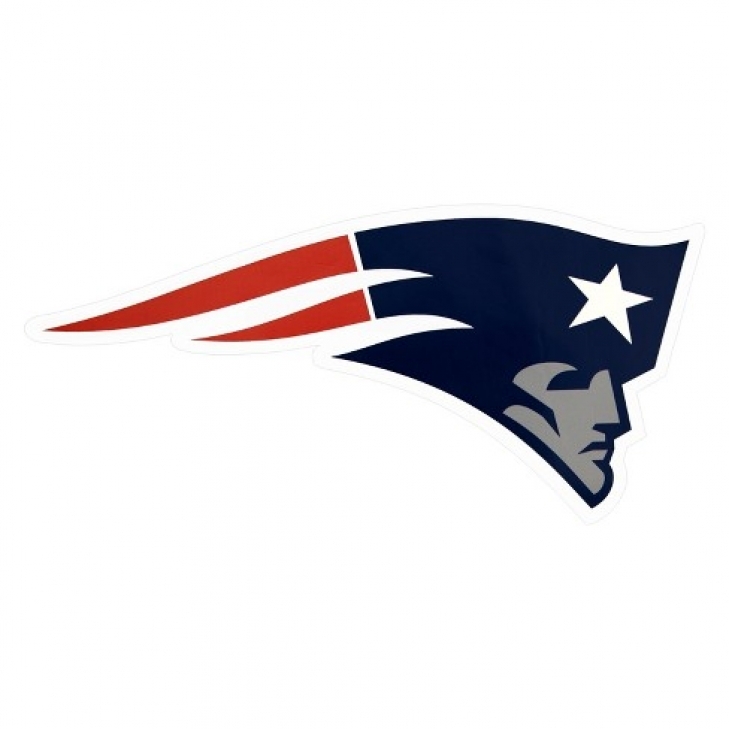 It is noteworthy that fans of the Patriots can go on line at www.patriots.com and cast their votes. Whoever is chosen will be the 26th member of what we feel has become one of the most prestigious franchise Halls of Fame. That inductee will be revealed in Mid-May. You better believe we are excited to see who that will be! Can we say again how much we love “Hall of Fame Season”? The Pro Football Hall of Fame has announced their Semi-Finalists are out and it brings out many familiar faces. Steve Atwater: Safety, DEN 1989-98 & NYJ 1999. Atwater is a Semi-Finalist for the seventh year in a row and he was a two time All-Pro Selection. Ranked #17 on Notinhalloffame.com. Ronde Barber: Cornerback/Safety, TB 1997-2012. Barber is entering his first year of eligibility and is a three time First Team All-Pro Selection. Barber helped the Buccaneers win Super Bowl XXXVII. Ranked #15 on Notinhalloffame.com. Tony Boselli: Offensive Tackle, JAX 1995-01 & HOU 2002. Boselli is a Semi-Finalist for the third time and was a five time Pro Bowl Selection. He was also a three time First Team All Pro. Ranked #81 on Notinhalloffame.com. Isaac Bruce: Wide Receiver, LAR/STL 1994-07 & SF 2008-09. Bruce is a Semi-Finalist for the fourth straight time and is a four time Pro Bowler. Bruce had 15,208 Receiving Yards over his career, which is fourth all-time overall. Ranked #18 on Notinhalloffame.com. LeRoy Butler. Safety, GB 1990-01. While Butler has been Hall of Fame eligible since 2007, this is his first appearance as a Semi-Finalist. Butler was both a four time First Team All Pro and Pro Bowl Selection and he is also a Super Bowl Champion. Ranked #83 on Notinhalloffame.com. Don Coryell: Coach, STL 1973-77 & SD 1978-86. Don “Air” Coryell is a Semi-Finalist for the tenth time and for the ninth year in a row. Roger Craig: Running Back, SF 1983-90, LAR 1991 & MIN 1992-93. Craig returns as a Semi-Finalist for the tenth time in a row. He is a former NFL Offensive Player of the Year (1988) and a three time Super Bowl Champion. Ranked #11 on Notinhalloffame.com. Brian Dawkins: Safety, PHI 1996-08. Dawkins is a Semi-Finalist for the second year in a row and was a Finalist last year, which was his first year of eligibility. He went to nine Pro Bowls and was chosen for four First Team All Pros. Ranked #7 on Notinhalloffame.com. Alan Faneca: Offensive Guard, PIT 1998-07, NYJ 2008-09 & ARI 2010. Faneca is a Semi-Finalist for the third time and was also a Finalist the last two years. Faneca went to nine Pro Bowls, was a six time First Team All Pro Selection and is a former Super Bowl Champion. Ranked #4 on Notinhalloffame.com. Torry Holt: Wide Receiver, STL1999-08 & JAX 2009. Holt is a six time Pro Bowler who twice led the NFL in Receiving Yards. This is his fourth time as a Semi-Finalist. Ranked #13 on Notinhalloffame.com. Steve Hutchinson: Offensive Guard, SEA 2001-05, MIN 2006-11 & TEN 2012. Hutchinson is in his first year of eligibility and is a five time First Team All Pro Selection. Ranked #36 on Notinhalloffame.com. Joe Jacoby: Offensive Tackle, WAS 1981-93. Jacoby is a Semi-Finalist for the eighth time and was a Finalist last year. The two time Pro Bowler was also a three time Super Bowl Champion. Ranked #52 on Notinhalloffame.com. Edgerrin James: Running Back, IND 1999-05, ARI 2006-08 & SEA 2009. James is a four time Pro Bowl Selection and a two time Rushing Champion. This is his fourth time in a row as a Semi-Finalist. Ranked #19 on Notinhalloffame.com. Jimmy Johnson: Coach, DAL 1989-93 & MIA 1996-99. Johnson is a two time Super Bowl winner and a five time Semi-Finalist. Ty Law: Cornerback, NE 1995-04, NYJ 2005 & 08, KC 2006-07 & DEN 2009. Law is a five time Pro Bowler and three time Super Bowl Champion. He is a Semi-Finalist for the fourth time and was a Finalist last year. Ranked #30 on Notinhalloffame.com. Ray Lewis. Linebacker, BAL 1996-12. This is the first year of Ray Lewis’ Hall of Fame eligibility and likely his last as he should get in immediately. He is a two time Super Bowl Champion and also a two time NFL Defensive Player of the Year. Ranked #1 on Notinhalloffame.com. John Lynch. Safety, TB 1993-03 & DEN 2003-07. Lynch is a Semi-Finalist for the sixth time in a row and has also been a past Finalist. Lunch went to nine Pro Bowls and was a Super Bowl Champion with Tampa Bay. Ranked #34 on Notinhalloffame.com. Kevin Mawae. Center/Offensive Guard, SEA 1994-97, NYJ 1998-05 & TEN 2006-09. Mawae is a Semi-Finalist for the fourth year in a row and is also a past Finalist. He is also an eight time Pro Bowl and three time First Team All Pro Selection. Ranked #22 on Notinhalloffame.com. Karl Mecklenburg. Linebacker, DEN 1983-84. Mecklenburg is now a Semi-Finalist for the seventh straight time and he is a six time Pro Bowler. Ranked #66 on Notinhalloffame.com. Randy Moss. Wide Receiver, MIN 1998-04, OAK 2005-06, NE 2007-10, TEN 2010 & SF 2012. This the first year of eligibility for Moss who was one of the most dynamic players ever. Moss was a four time First Team All Pro Selection who is third all time in Receiving Yards. Ranked #3 on Notinhalloffame.com. Leslie O’Neal. Defensive End, SD 1986 & 1988-95, STL 1996-97 & KC 1998-99. Despite being eligible for the Pro Football Hall of Fame since 2005, this is the first time that O’Neal has become a Semi-Finalist. He is a six time Pro Bowler. Unranked on Notinhalloffame.com. Terrell Owens. Wide Receiver, SF 1996-03, PHI 2004-05, DAL 2006-08, BUF 2009 & CIN 2010. Owens returns for the third time in the Semi-Finals and he was a Finalist the previous two years. T.O. is second overall in Receiving Yards and is a five time First Team All Pro Selection. Of course, he already has a Hall of Fame jacket, whether he gets in or not! Ranked #8 on Notinhalloffame.com. Simeon Rice. Defensive End, AZ 1996-00, TB 2001-06, DEN 2007 & IND 2007. Rice is on his first year of eligibility and is a former three time Pro Bowl Selection and Super Bowl Champion with Tampa Bay. Unranked on Notinhalloffame.com. Richard Seymour. Defensive End/Defensive Tackle, NE 2001-08 & OAK 2009-12. This is the first year of eligibility for Seymour who was a three time Super Bowl Champion and seven time Pro Bowl Selection. Ranked #48 on Notinhalloffame.com. Brian Urlacher. Linebacker, CHI 2000-12. Urlacher is Hall of Fame eligible for the first time in his career and he was an eight time Pro Bowl and four time First Team All Pro Selection. Ranked #9 on Notinhalloffame.com. Everson Walls. Cornerback, DAL 1981-89, NYG 1990-92 & CLE 1992-93. Despite being eligible for the Pro Football for nearly twenty years, this is the first time that Walls made it to the Semi-Finals. Walls was a four time Pro Bowl Selection and he led the NFL in Interceptions three times. Unranked on Notinhalloffame.com. Hines Ward. Wide Receiver, PIT 1998-11. Ward is a Semi-Finalist for the second time in a row and he is a four time Pro Bowl Selection and a Super Bowl Champion. Ranked #31 on Notinhalloffame.com. This group of Semi-Finalists will be trimmed down to fifteen in January. They will automatically be joined by Contributor Finalist, Bobby Beathard and two Senior Finalists; Jerry Kramer and Robert Brazile. As you can imagine, we will be paying close attention to that announcement! The New England Patriots have announced the three Finalists for their Hall of Fame and all three of them were members of the organization’s first three Super Bowls. Matt Light is a first time nominee. The former Left Tackle played 153 Games in the NFL and started all of them in a career that was spent only in New England (2001-11). The former Purdue Boilermaker was a second round pick and was chosen for three Pro Bowls. Richard Seymour is being nominated for the second time. Seymour played for New England from 2001 to 2008 and as a Patriot he was named to five straight Pro Bowls (2002-06) and three straight First Team All Pro squads (2003-05). Mike Vrabel is a nominee for the third time. Vrabel played 125 (starting 110) for the Pats at Linebacker and was a Pro Bowl and First Team All Pro in 2007. 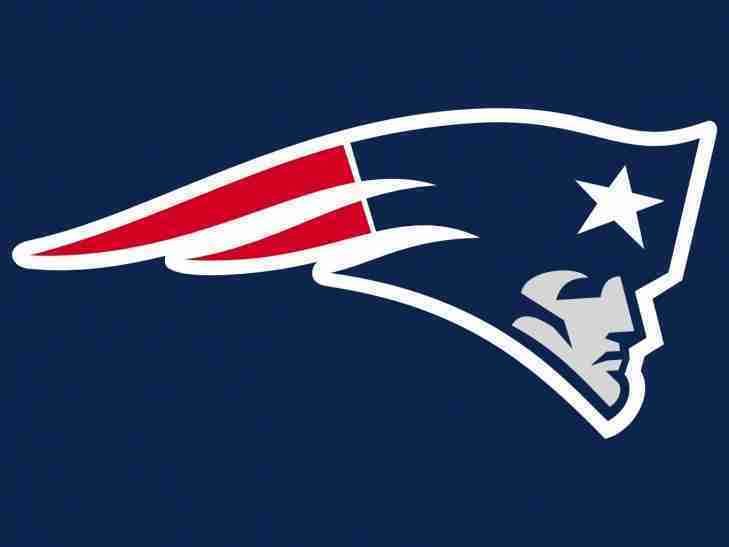 Whoever is selected will be the 27th person selected for the New England Patriots Hall of Fame. Leading up to Saturday’s Pro Football Hall of Fame vote, we have some developments that we think are very interesting and definitely noteworthy. Both Tom Brady and Bill Belichick have penned letters to the Selection Committee extolling the virtues of Ty Law and Richard Seymour, both former New England Patriots who are among the Finalists this year. Brady’s letter regarding Ty Law can be found here. Belichick’s letter regarding Richard Seymour can be found here. In an ESPN article, Hall of Fame Running Back Curtis Martin endorses former New York Jet teammate, Kevin Mawae for a spot in Canton. We are only 48 hours from finding out who will comprise the Pro Football Hall of Fame Class of 2019 and we can’t wait to find out! The New England Patriots Hall of Fame has announced their three Finalists for their institution. Richard Seymour: Seymour played with the Patriots from 2001 to 2008 and he helped New England reach five Super Bowls and win three of them. From 2002 to 2006 he was chosen for the Pro Bowl and he was a First Team All-Pro three times (2003, 2004 & 2005) and he would record 39.0 Sacks for the Pats. Mike Vrabel: Like Seymour, Vrabel would help New England win three Super Bowls but he arrived via free agency after four seasons where he was mostly used on Special Teams as a Pittsburgh Steeler. With the Patriots he primarily played Linebacker where he was a Pro Bowl and First Team All-Pro in 2007. He would have 48.0 Quarterback Sacks for New England. Rodney Harrison: Harrison arrived to New England from the San Diego Chargers and the Defensive Back would help the Patriots win the Super Bowl in back-to-back years in the 2003 and 2004 seasons. Harrison was a First Team All-Pro in 2003 and he had eight Interceptions and nine Sacks as a Patriot. This looks like it will be a tough choice, doesn’t it? Fans can vote online through May 3 here. Leon Gray has already been chosen by the Senior Committee of the New England Patriots Hall of Fame. Although the New England Patriots were praised for their offense in the 2000’s, they did have a more than capable defense, much of which could be attributed to Richard Seymour.